Living space above means there should be insulation below. Builders often neglect to install insulation in a garage ceiling below living space, making for some uncomfortable living space. If your house has a detached garage, then there is truly no worry about garage insulation and its effect on the comfort and energy efficiency of the house. But most houses have attached garages, and if there's a structural connection between these spaces, there's also a thermal connection. Looking to improve the comfort in an above-garage living space? Contact us today if you just want to know how to improve your home insulation or to schedule a free garage insulation estimate in Two Harbors, Nisswa, Saginaw, Duluth, Esko, Superior, Grand Rapids, Moose Lake, Hibbing, Ashland, Bovey, International Falls, South Range, Cohasset, Cloquet, Carlton, and other nearby towns and cities. We are the experts you can count on to install spray foam insulation, rigid foam, cellulose, radiant barriers and more. Improving garage insulation just takes a phone call. 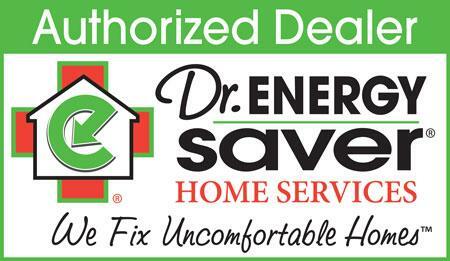 Contact Dr. Energy Saver Solutions, A Service of DBS for a home energy audit or a free insulation estimate. We are Greater Duluth, MN and Superior, WI Area's trusted insulation company. Did the builder do it right? When a house is built, the common wall between the garage and the home's living space should be air sealed and insulated. But builders sometimes skip this step. Dr. Energy Saver Solutions, A Service of DBS can inspect your garage and correct garage insulation problems. Without garage ceiling insulation, the living space above the garage will be uncomfortably cold in winter and distressingly hot in summer. You'll be wasting energy nearly all year round. Along with any garage insulation upgrade, Dr. Energy Saver Solutions, A Service of DBS will also air seal the garage to eliminate energy-wasting leaks and prevent harmful auto emissions from entering the above living space. Insulating garage walls. When the garage is attached to the house, the wall that separates the garage from the living space should be air sealed, insulated and finished with fire-rated drywall. Want to install insulation in your garage? We make it simple and affordable with our Free Estimates! Call 1-855-580-2907 or contact us online to schedule a free estimate for insulating the garage in Saginaw, Grand Rapids, Esko, Two Harbors, Nisswa, Duluth, Superior, and neighboring locations such as Aurora, Virginia, Silver Bay, Washburn, Aitkin, Britt, Spooner, Hayward, Pequot Lakes.